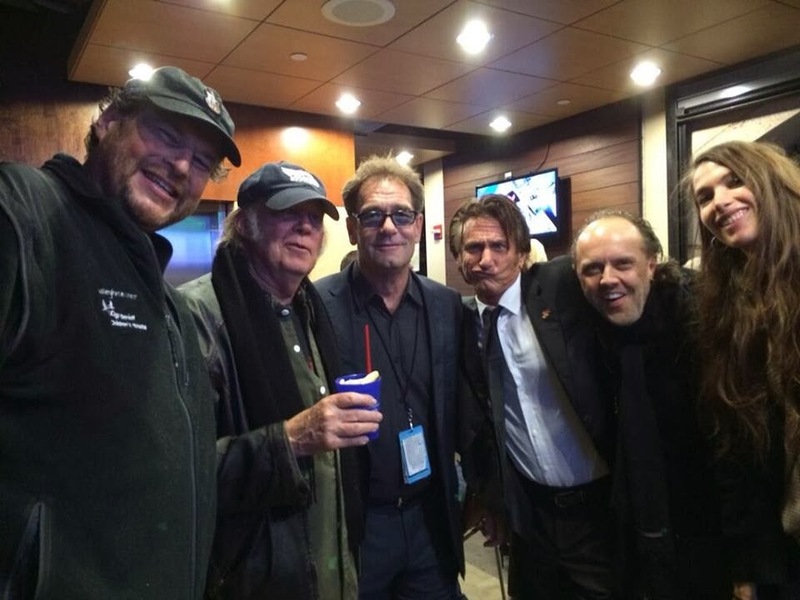 The Photo of the Moment is Neil Young, Sean Penn, Huey Lewis, and Lars Ulrich backstage at Marc Benioff's Salesforce Dreamforce Conference Green Day gala concert on Nov 19th at AT&T Park in San Francisco, California. There's something about Sean Penn doing a "Freddie Parrot Face Davis" impression but we have no idea what that's all about. Is that a cocktail? I thought neil gave up the sauce?